Gorell awning-style windows are a perfect blend of beauty and functionality. 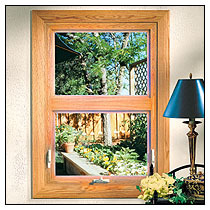 These windows open outward from the bottom, allowing you to pull in summer breezes with the turn of a handle. Awning windows even provide ventilation during a light rain without letting water in-a very practical consideration in many areas of the country. Q-Lon® ultra-compression weather seal provides tight closure-similar to a refrigerator door-to prevent air and water infiltration. Beautiful Truth Encore® hardware ensures easy, problem-free operation-even for large sash sizes. 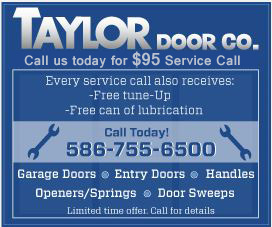 Custom-engineered lock-and-seal system-with two lever locks-provides the tightest possible seal and excellent security. Durable screens, with heavy-duty aluminum frames and strong fiberglass mesh screen, are custom made for a perfect fit and long life. The smooth, clean frame and sash profile of Gorell casement windows is ideal if you enjoy a wide-open view of the outdoors and lots of natural light. 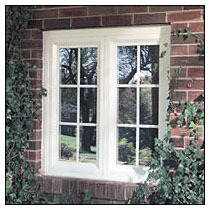 Our casement windows are side-hinged to open out on the left or right-providing full, top-to-bottom ventilation. These windows provide many other benefits as well-including excellent energy efficiency because of their tight seal (which results in lower energy bills), greater security and nearly effortless operation. 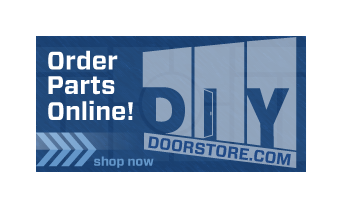 Multiple-point lock-and-seal system operates easily-with a single lever-for the tightest possible seal and excellent security.